Love this gorgeous GUCCI Mini Me Girls Yellow Floral Silk Dress that reflects creative director Alessandro Michele's love of romantic floral prints. 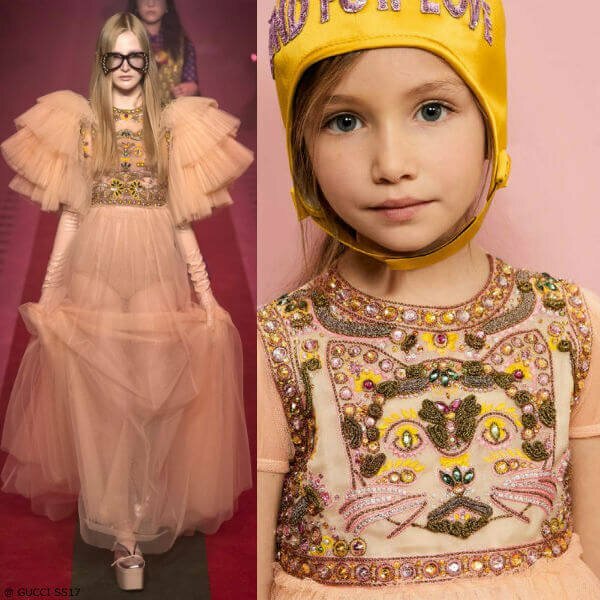 This Mini-me Gucci dress is made with a sublimely soft and floaty yellow silk, printed with pretty pink roses. Inspired by the Gucci Women's Summer 2017 Collection, this dress is beautifully styled to match the womenswear version, it has a high-neck frilled collar and a pintucked front opening that fastens with logo pearl buttons. 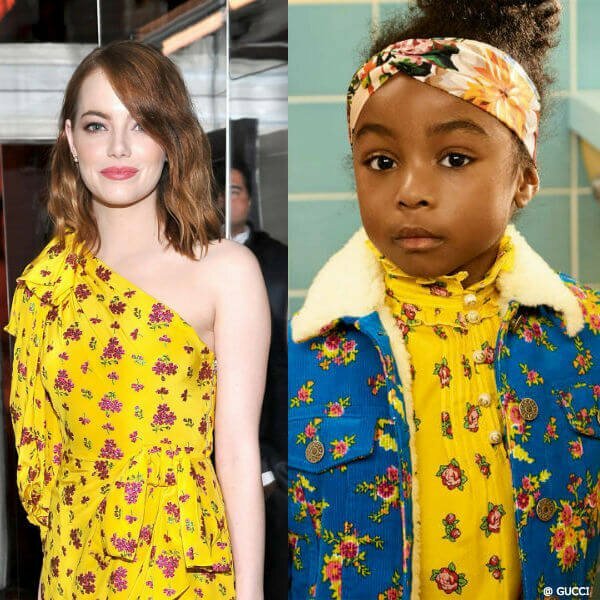 Actress Emma Stone wore the Women's version of this GUCCI Yellow Floral Silk Dress on the Red Carpet at a pre-Golden Globes celebration in January, 2017.